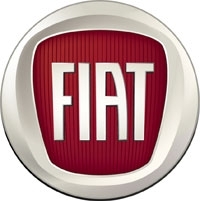 TURIN - Fiat's factories in Italy will resume production on Monday after a strike by truckers ended on Friday. Fiat lost production of 8,400 vehicles after parts deliveries were disrupted by a strike by truckers protesting higher taxes on fuel. The strike began on Tuesday. The Italian carmaker, which controls Chrysler Group, was forced to stop production at its light commercial vehicles plant in Sevel. Production at car plants at Melfi, Pomigliano, Cassino and Mirafiori was also halted. Truckers oppose fuel-tax increases imposed by Prime Minister Mario Monti's government as part of austerity measures to tackle the country's debt crisis. Fiat's stoppage comes as CEO Sergio Marchionne struggles to end European losses estimated at about 800 million euros ($1.05 billion) a year, and revamp car production in Italy with a 20 billion-euro investment plan and a more flexible labor contract. Fiat aims to recover lost production in coming weeks, a company spokesman said.